This is one of the best and most complete programs organized in the area. 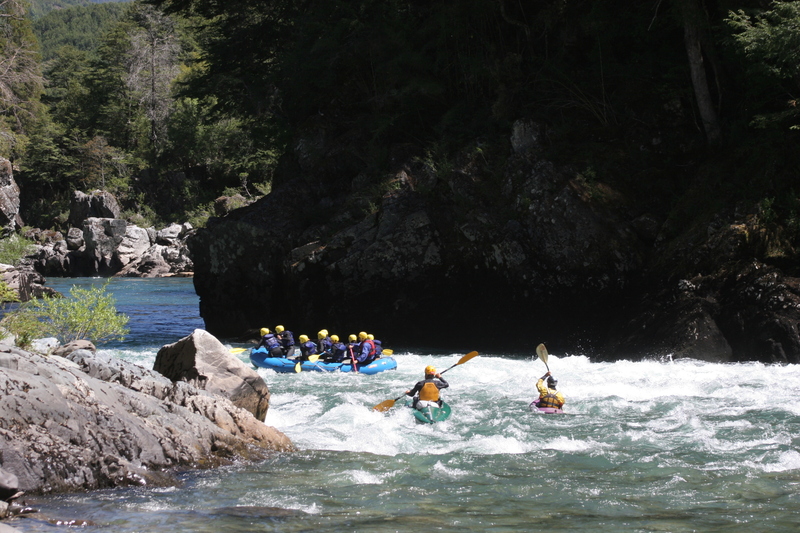 We combine different activities such as rafting, horse riding and hiking, to travel this pass between Argentina and Chile . We will have the opportunity to appreciate the settler’s lifestyle, whose traditions have stayed intact since their first days as pioneers in the area. 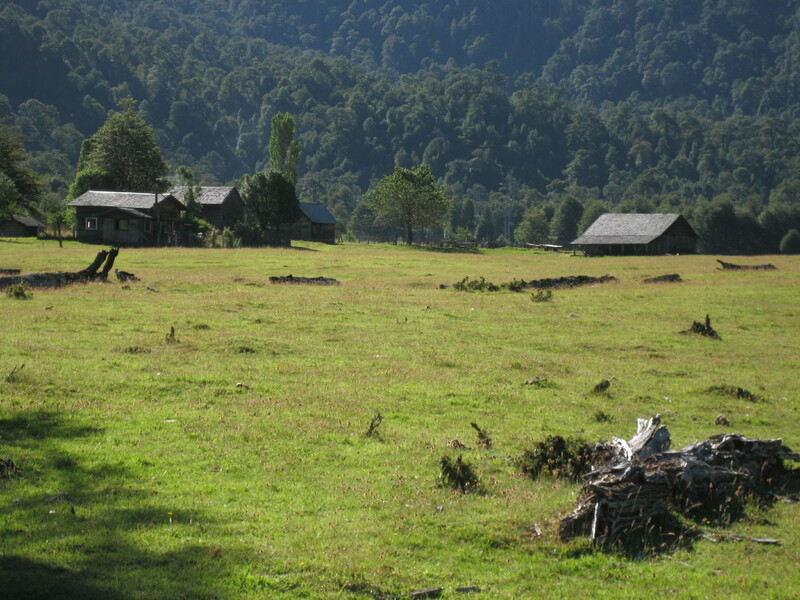 As an optional, you can return to Bariloche by the “Cruce Andino Circuit“. Arrival to San Carlos de Bariloche Airport, where a member of our staff will be waiting for you. 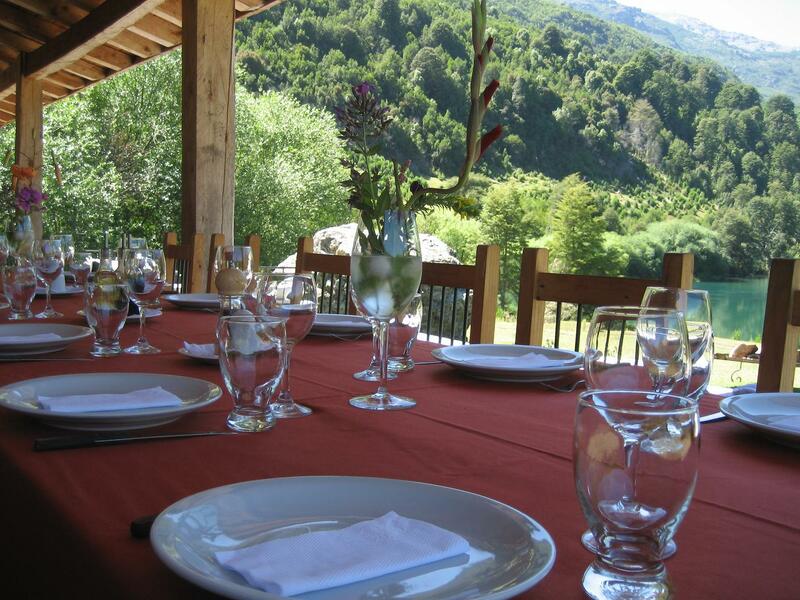 Transfer to hotel in Bariloche, welcome drink and introduction of the guides. Departure from Bariloche, transfer to “Puerto Viejo”, our private harbor in the Manso River where we start the rafting excursion. We will navigate the Manso River, the last 10 Kms of this river in Argentina. During the first half of the tour this turquoise river flows placidly, going by beautiful pools and canyons. 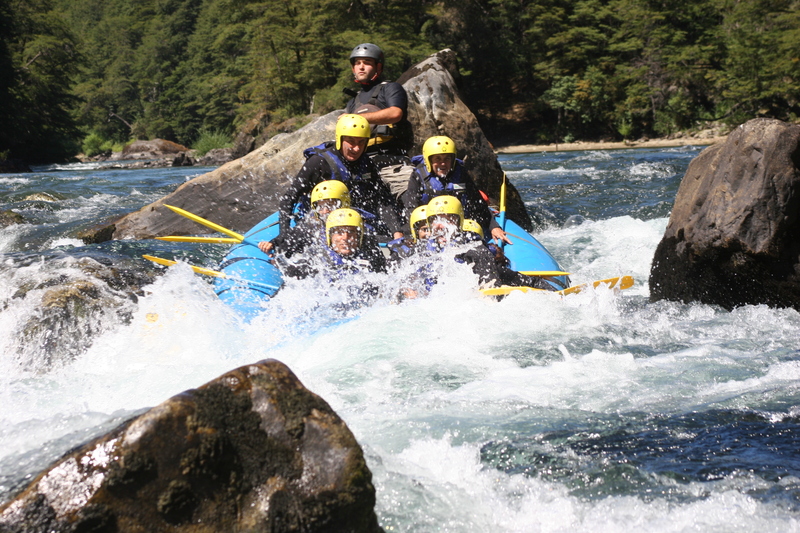 The last part, with class III and IV rapids, is one of the best known white water rafting trips in Argentina. We arrive to our Lodge in Paso Leon, Chile, where we will stay for the night. After breakfast, we continue paddling in the Manso river in the Paso Leon-Torrentoso sector with class III-IV rapids. This sector has several portages where we will have to walk around some of the rapids. 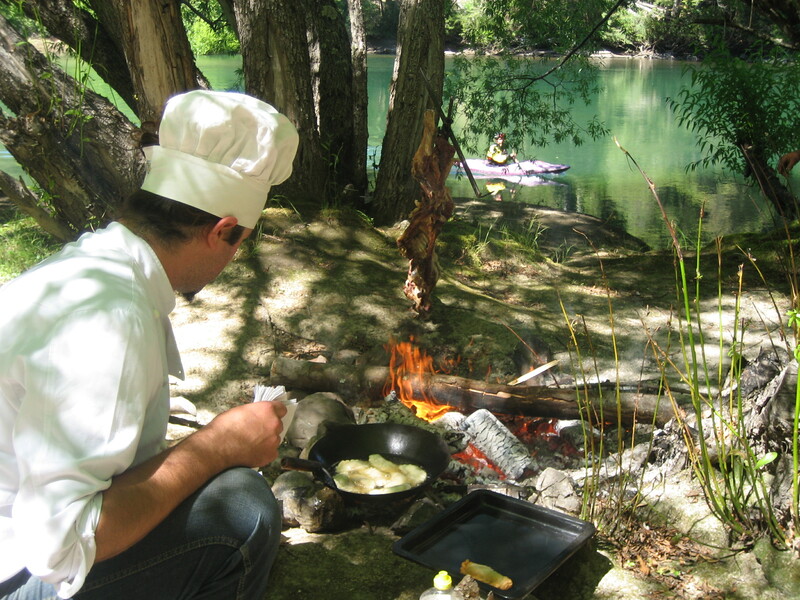 Have lunch by the river and continue on horseback to the south shore of the Vidal lake, where Luisa, our hostess, will be waiting for us. We cross the Vidal Lake in a motor boat to reach its northern shore. Free day for fishing in the lake or stroll through this remote place. Overnight at camp. 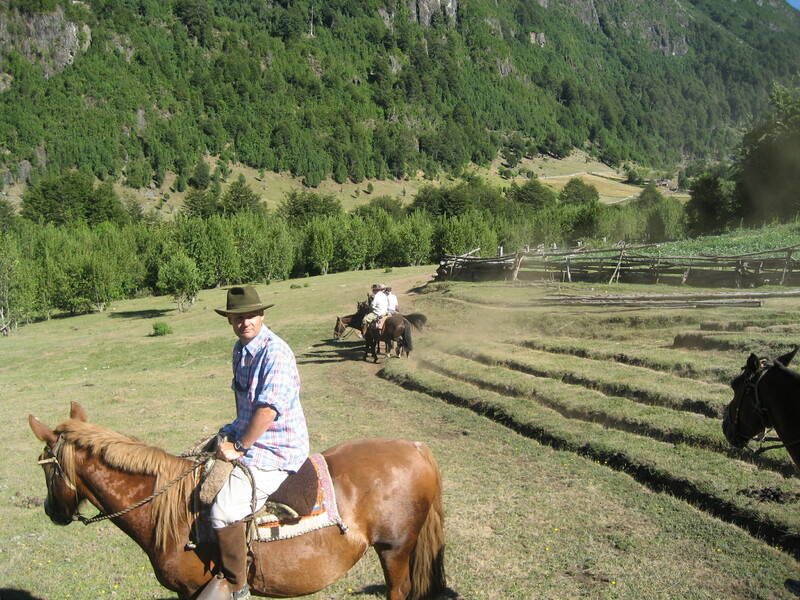 Trekking or horse riding to “La Junta” confluence of the rivers Puelo and Manso. Overnight at Refugio. 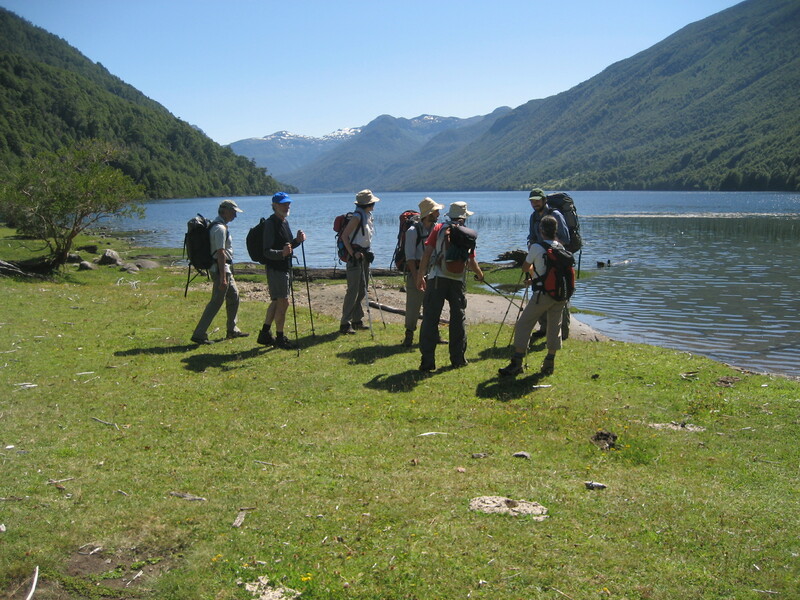 Trekking and transfer to hotel in Puerto Varas. End of tour.